Our Leadership Tools Blog is updated regularly with you in mind. See updates and news in real time. Simply add our feed to your homepage. Go directly to recent blog updates. 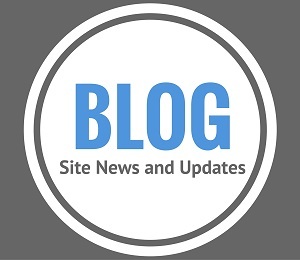 Our Blog is devoted to providing high quality leadership tools and information for the benefit of our valued readers. The information provided on the Leadership-Tools.com website and blog is focused on five strategic categories including: Business Planning, Leadership Development, Sales Management, Customer Service and Team Building. Strong leaders are always on the lookout for new and improved leadership tools and resources that add value. If those tools are also cost effective and easy to implement, then that's even better. At Leadership-Tools.com we are committed to providing high quality, "Ready-to-Use" tools and resources that focus on positively influencing you and your team - for maximum results. Our Blog is the place where you'll be the first to hear about newly offered tools and resources for your leadership development - as well as other news, activities and information on all subjects related to leadership. "We should continuously strive to be informed. Only then have we earned the privilege of being opinionated." To subscribe to the Blog (e-mail address is not required), RIGHT-click on the orange RSS button (scroll below to the right) and then copy-and-paste the URL of the "RSS feed" into your blog reader. Of course you can also simply click on the My Yahoo! button, or whatever RSS reader you use as your homepage. If you are not sure how RSS and subscribing works, please read What is RSS? 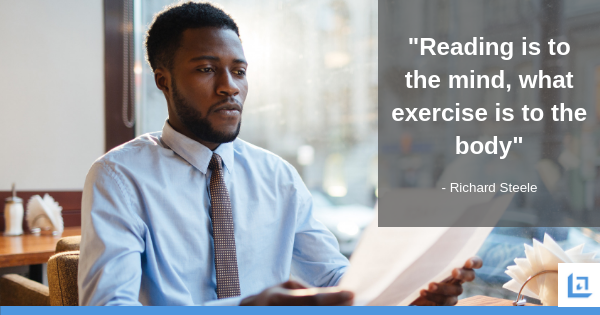 Learning how to leverage RSS will quickly open up a world of new options to you for how you can receive your important news and information. Consider becoming an important part of the Leadership Tools Blog. Tell your favorite story by clicking here. If published, your story becomes part of this blog for others to read. Share your stories and help others in the process. Our ten most recent blog entries are posted below. In order to have access to all blog entries you will want to follow our blog using your RSS reader of choice. The most popular RSS reader is Feedburner and MyYahoo but there are many other options so we've provided the three primary RSS reader links which will support you no matter what your preference is. If you're not sure what an RSS reader is, no problem - just take a minute to review What Is RSS? Continue reading "Employee Training Videos | The Ultimate Employee Program"
Discover free online leadership training courses offered by highly respected institutions. The high cost of leadership education is no longer a barrier to achieving your career goals. Self paced study is a terrific alternative to costly traditional leadership development. Continue reading "Free Online Leadership Training Courses"
Read our leadership articles on a variety of leadership development and personal growth topics. Find answers to your leadership questions and discover best practice ideas on leadership training, activities and success tips. Continue reading "Leadership Articles for Professional Growth "
Download our free Jeopardy Game template. Use our leadership game tools to add energy and fun to your meetings. Developing the leadership skills and expertise of your team with a friendly game of Jeopardy. 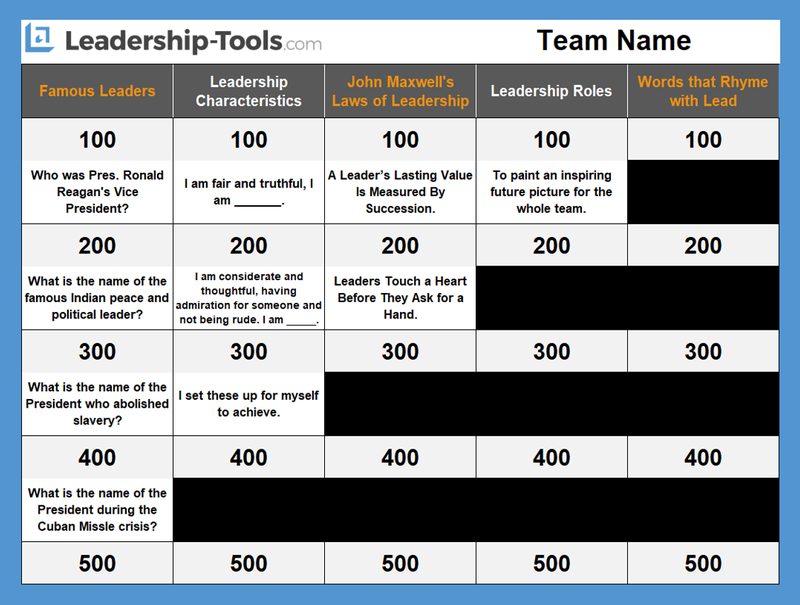 Continue reading "Jeopardy Game Template | Leadership Tools"
Use our free leadership games during your next team meeting to add fun and excitement. Playing simple games will add energy and fun into your agenda and team members will appreciate your extra effort and creativity. Use our game ideas and make them your own. 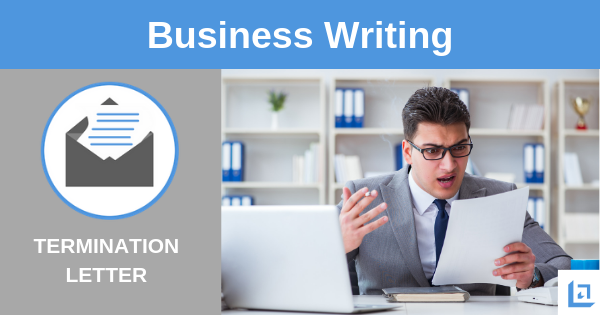 Continue reading "Free Leadership Games | Leadership Tools"
Download our free collection of business writing templates. Our thank you letter sample template provides a tool for managers to let employees and clients know how much they are appreciated. Express your gratitude in a caring and effective way using this free tool. 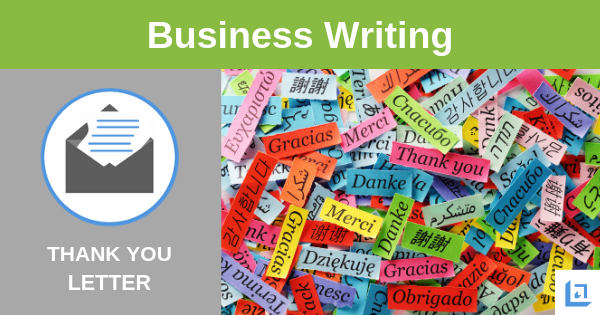 Continue reading "Thank You Letter Sample | Free Business Writing Templates"
Our free termination letter template provides leaders with a great tool to properly communicate the termination of employment. Lessen the stress associated with terminating an employee using this professional termination letter tool. Continue reading "Termination Letter Template | Free Business Writing Templates"
Our resignation letter template is available for free download. Creating a resignation letter can be a stressful time. Use this resignation template to make the process quick and easy. Professionally communicate your plans to resign and leave on good terms. 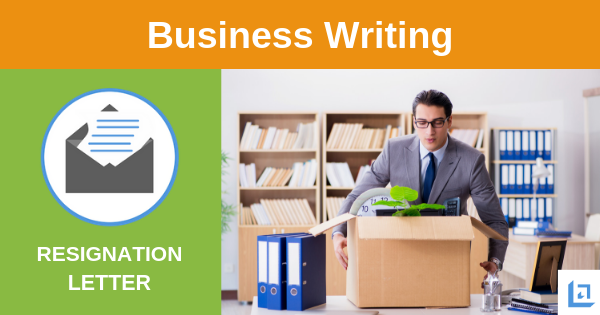 Continue reading "Resignation Letter Template | Free Business Writing Templates"
Download our free collection of business letter templates for fast and effective communications. Welcome new clients using this free customer welcome letter template. Demonstrate how eager you are to work with them and serve their needs. 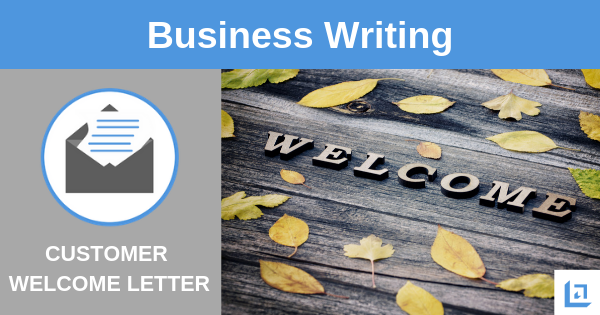 Continue reading "Welcome Letter Template | Free Business Writing Templates"
Use our introduction letter sample and other letter templates for fast solutions to business writing challenges. Writing a letter of introduction must make a great first impression and make the prospective client want to learn more about how you can add value. 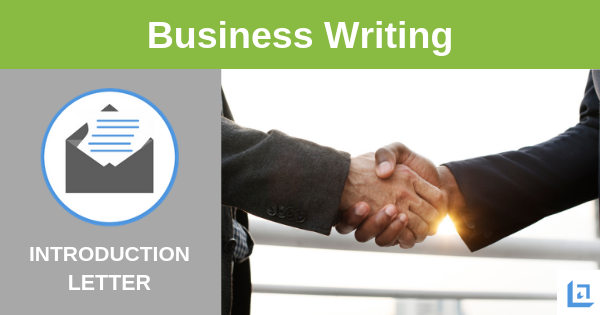 Continue reading "Introduction Letter Sample | Free Business Writing Templates"